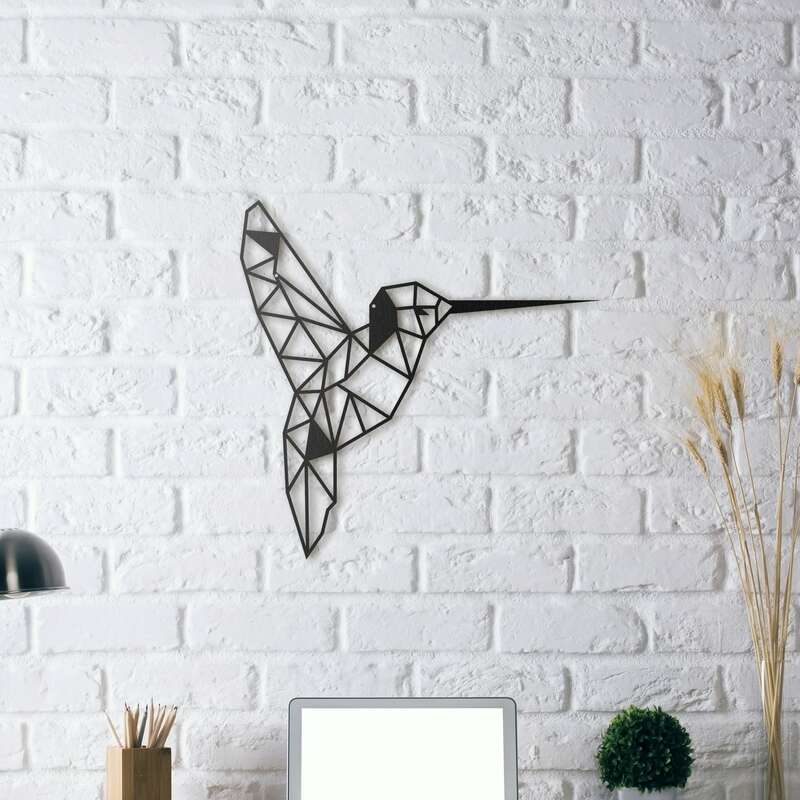 Fly away with this humming bird metal wall decoration ! This bird metal wall decoration is entirely hand made. The dimensions of this design wall decoration are 54 x 59 cm. This contemporary metal humming bird is delivered free in metropolitan France and Belgium. With small wings and the fastest flutter, the humming bird is one of the most unusual birds in the world ! 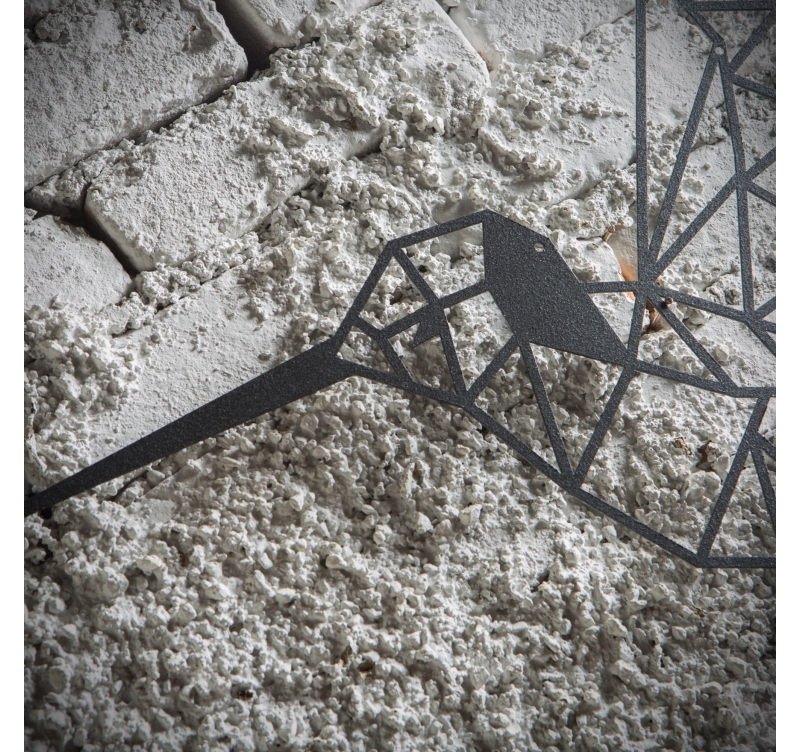 Drawn with geometrical lines this design metal wall decoration shows the famous bird to bring energy to your interior. The long beak and small body will make this metal Zen deco the centrepiece of your large white wall and will perfectly fit in other nature elements such as green plants. 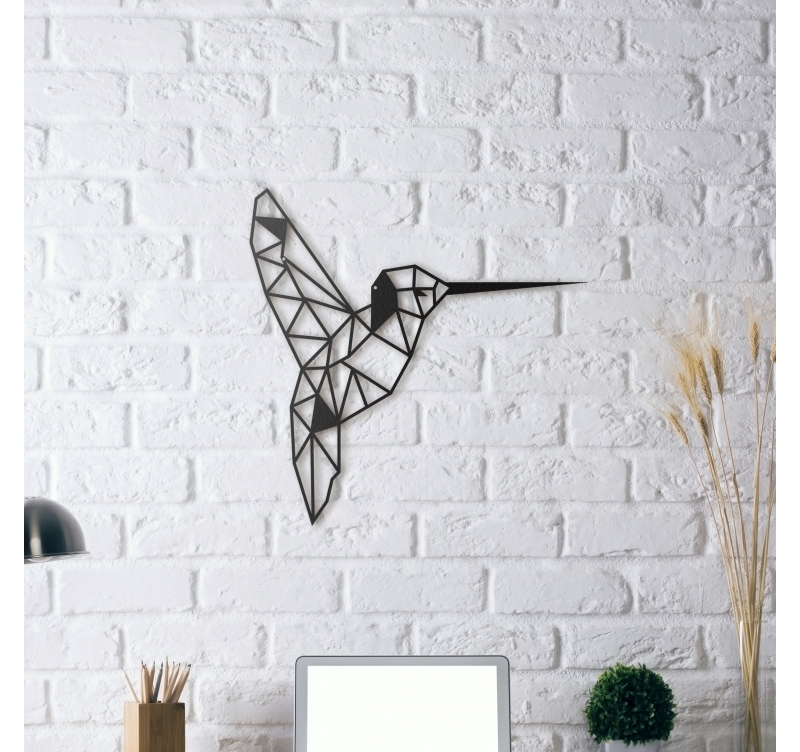 Feel how crazy and fast this bird is with our humming bird animal metal wall deco ! All our bedroom wall decorations are hand made by our creators and treated with a black finish for a long lasting quality. This humming bird metal wall decoration is wrapped in foam and a protective cardboard box for a safer delivery. Très beau rendu sur un mur blanc... belles dimensions et très bonne qualité de finition. excellent service, rapide. sommes très content de notre colibri!